Laura Wingate's life in New York City was falling apart. The man she wanted to marry could not commit, and her job as a museum exhibitions manager was growing stale. Needing to reexamine her life, she temporarily returned to Magnolia House on the outskirts of Alexandria, Louisiana. A place where she had shared many happy days with her grandparents. Along the way, Laura met Kendrick Reynolds, a Hollywood director, and learned he was preparing to direct a movie in locations around Alexandria based on the American Civil War’s Red River Campaign. She soon became enchanted by Kendrick, but a forgotten high school classmate competed for her attention, putting Kendrick in danger. Vivid scenes and great plot twists...Loved It! 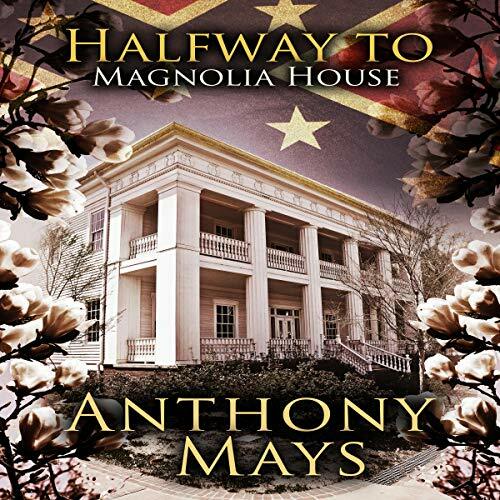 The discovery of buried rooms tied to the Confederacy and the Underground Railroad drives Mays’ suspenseful modern-day thriller. Laura, the frustrated main character, travels to her grandparent’s home in Alexandria, Louisiana where she becomes intrigued by its history. Along the way, she meets Kendrick Reynolds, a Hollywood director picked to film a Civil War movie in Alexandria. The movie crew includes a former high school classmate of Laura, with a mysterious past, who competes against Kendrick for her attention. Their conflict ultimately leads to accidental discovery and woe. At first, I thought this was just another Civil War story, but it was really two stories in one, both from a modern perspective. The author constructs very vivid scenes and included plot twists I didn’t see coming. I liked that the book’s prologue summarized the 1864 campaign which made it easy to understand the historical references during the making of the movie. I thought it clever the way the author used film terminology. This book may appeal more to women than men, but the peppering of Civil War attributes kept me sufficiently intrigued and I learned a bit of history. All in all, a very enjoyable listen on Audible.